Made-to-Measure is a term that refers to apparel sewn from a base pattern. Walter Beauchamp's Full Canvas Made-to-Measure experience uses advanced tailoring techniques based on all the manipulations and craftsmanship found in luxury suiting. 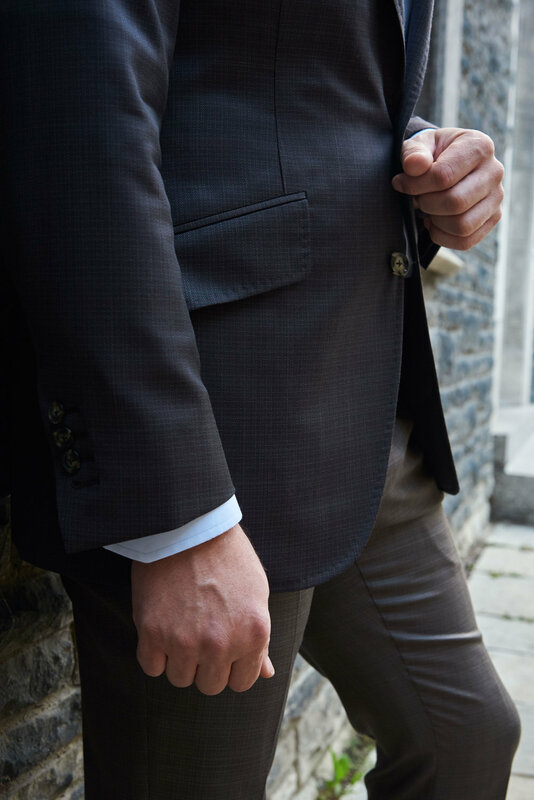 All of our suits are constructed to individually fit the unique bodies of each and every client, resulting in garments that are comfortable and easy to wear. Clients through our Made to Measure experience are able to personally design their own unique garment by manipulating most of the styling options. Including 2 - 3 fittings, the overall process of the Made-to-Measure experience takes between 4 - 6 weeks.